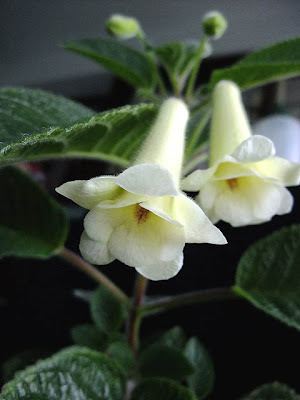 I don't consider myself a gesneriad master in the slightest--I've been growing gesneriads for just a few years and have killed more than I've been successful with. In the past year or so, I've started getting into tuberous gesneriads, particularly Sinningia (particularly particularly the eensy teensy ones like S. pusilla). And although I've stumbled upon the Sinningia and Friends website on occasion (for example, when trying to learn more about all these seeds I'm starting at home), I never spent any measurable time browsing through it. Well, I got to the airport 2 hours early this evening only to find out my flight was delayed by 5 hours because of low cloud cover in San Francisco. So, with quesadilla in one hand, strawberry margarita in another, I decided it was time to learn a bit more about these plants I'm trying to grow. One of the most important things was this: Sinningia is a big genus with tons of species. To experienced gesneriasts, this is a "Well, duh" statement. But I had no idea the genus (and friends) was split into five clades (groupings of related species--basically, specific branches of a large family tree). With all the recent buzz about the Gesneriad Society's upcoming national convention and the much-anticipated hybridizers' meeting, I decided to join the hybridizers' group. I don't hybridize (yet! ), but it's going to happen--I can't stop myself from knocking plants up. Knowing what clade different Sinningia species are in could at least help me figure out what is more likely to work if I try it. And perusing the hybrid list on the website gives me a starting point for ones to try, or could help me avoid ones that have been done before. So when I ran across the S. canescens page on Sinningia and Friends, I worried that my seedlings were mislabeled. A quick tweet from a gesneriad friend calmed my anxiety and reminded me of wisdom I learned during my botanical studies back in the co-ed days: Some plants look different as babies. Spinach is perhaps a good example of that--short and soft and round and yummy as a baby, but tall and not so tasty and pointed leaves as an adult. It's not an exact comparison, certainly, but still something I should be able to figure out myself (even a margarita and a half into my flight delay). I also learned that I tend to prefer Sinningia in the Corytholoma clade. 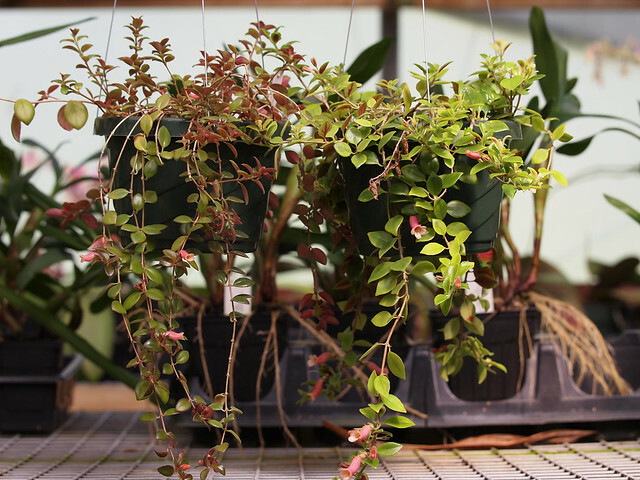 I never realized how cladist I was until I saw the names on a list: S. pusilla, S. sellovii, S. defoliata, S. aghensis, S. helioana, S. muscicola. Most of the Sinningia I grow by choice (rather than random grabs from the swap table) are in this clade. A couple (S. gigantifolia, S. gerdtiana, and S. micans) aren't included in that generalization, but they are definitely the exceptions to the trend I'm noticing. I wonder--is my preference for Corytholoma clade Sinningia a personal one, or one based on availability of seeds and plants? Are Corytholoma plants just generally easier to grow under my care? I perhaps have plenty more reason to continue learning about Sinningia--but, while I still have 4.5 hours to wait for my delayed flight, I'm going for another margarita. 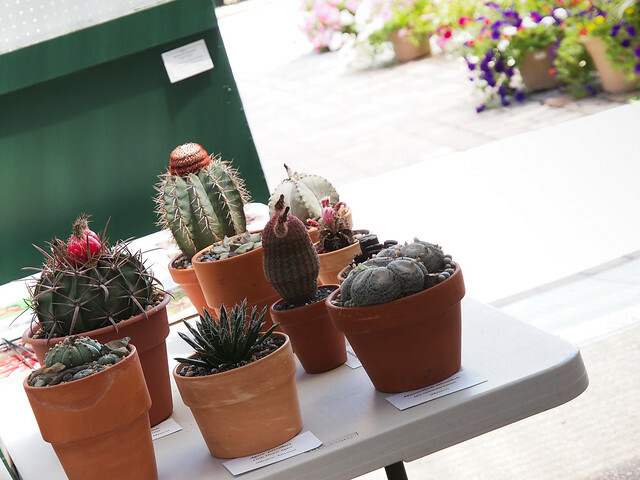 A highlight of every Convention is the Gesneriad Hybridizers Association (GHA) meeting. This year's meeting is at 3:30 on July 4, 2012, and the speaker is Vivian Liu, the person behind the "An's..." hybrids. Those of you on Gesneriphiles have already seen the teasers posted by Dale Martens -- I asked her if I could share them here as well. The GHA also has a newsletter three times a year and a seed list - a very good value for the low membership fee! I've seen it loaded with flowers, so this isn't its best. I remember when this was a wee li'l cutting 2 or 3 years ago - Al has been kind enough to let me propagate the plant in his greenhouse. Now it's 4-hanging-pots big - and that's after numerous trimmings. 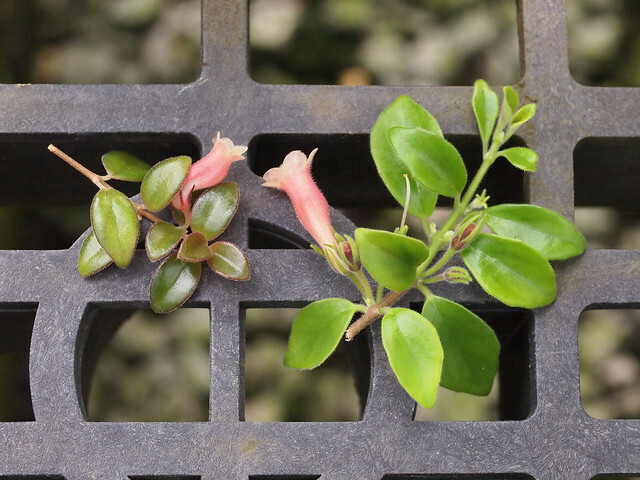 This is described by Lyndon Lyon as a free-flowering Aeschynanthus with strong foliage and good trailing habits. Yes, I counted the days. 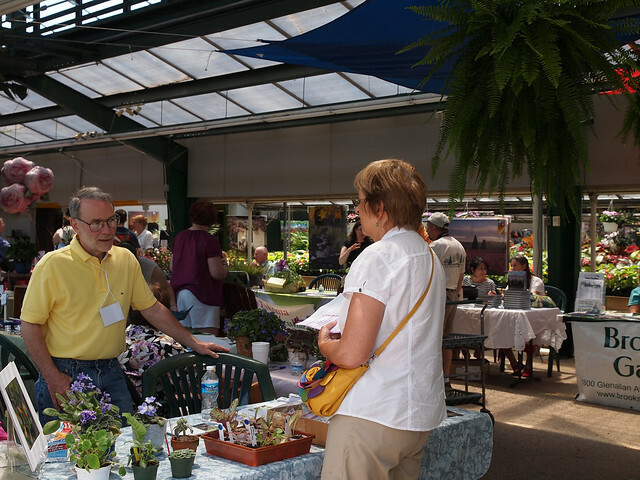 There are 120 days - growing season days, no less - until the Mid-Atlantic Regional Gesneriad Show. 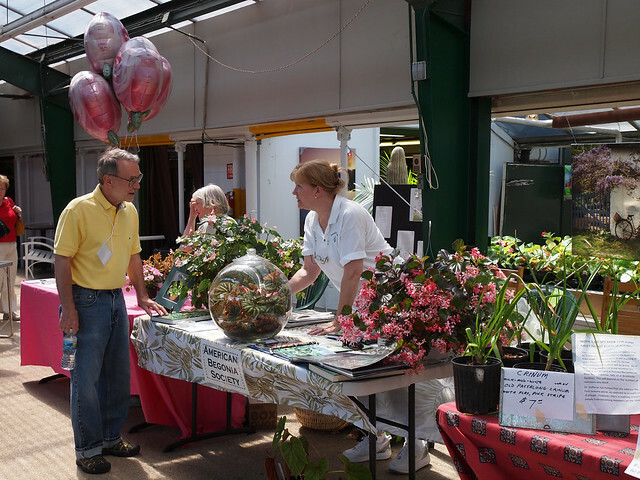 That's plenty of time to select some gesneriads from your collection and grow&groom for entry into the show. Although some gesneriads need years of good culture to be show-able, others will do quite nicely in a 4 month window. Achimenes, for example, grow very well outdoors and have one distinct growing cycle a year - start now and they should still be in bloom at the end of September. 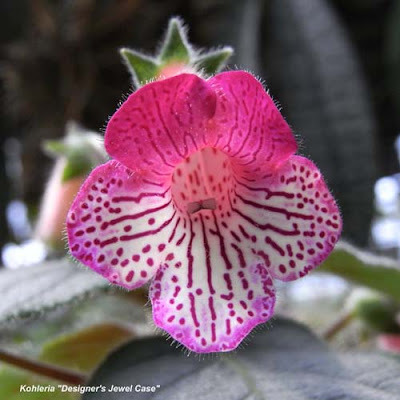 Kohleria is also another rhizomatous plant that would do well in the available time, either outdoors or indoors. 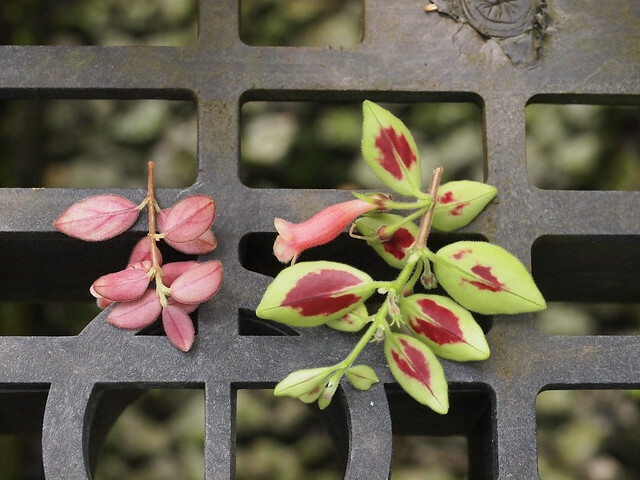 Some Sinningia will go from a healthy leaf-less tuber to full bloom in a few months and some of them do superbly outside. 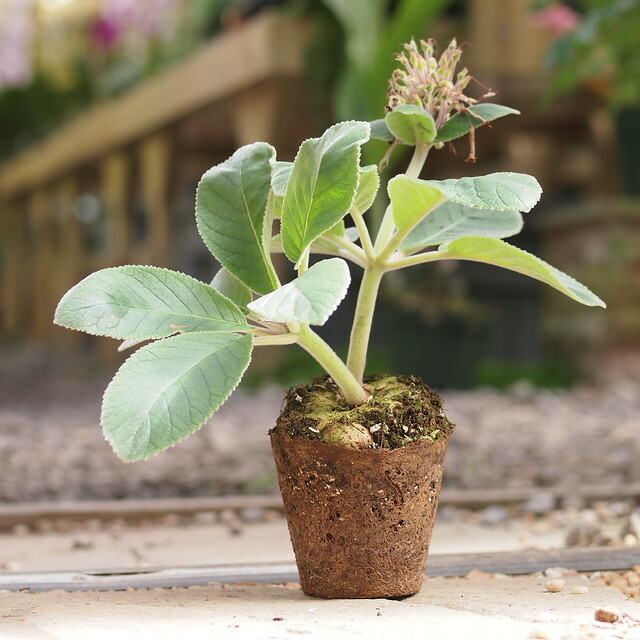 Other good candidates for growing outdoors through the summer months are Alsobia, Columnea, Drymonia, Streptocarpella, Episcia, and the other ones I'm obviously forgetting. Indoors, if you have a healthy Saintpaulia or Streptocarpus plant, you can disbud for a period before attempting to bring it into bloom in time for the Show. 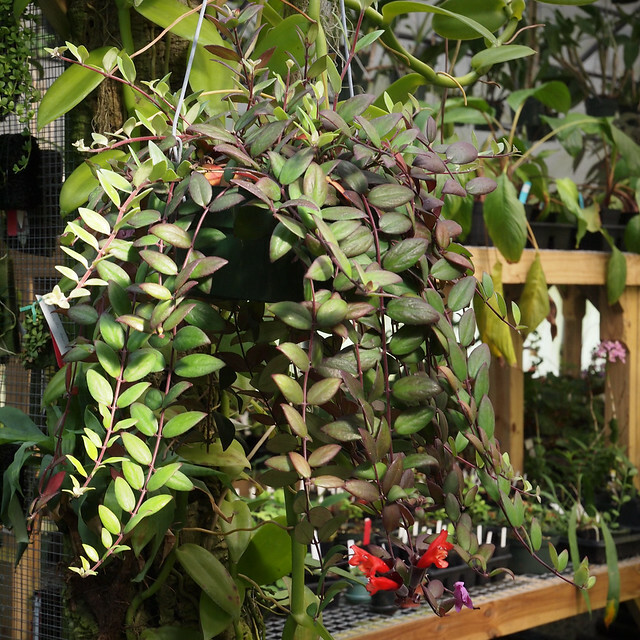 So... a candidate for your "to do" list this weekend: go through your gesneriad collection, tag a few Show candidates, and repot if needed.